We no longer raise Mini Rex - our last Mini Rex is now enjoying retirement on 5 acres, though she stays fairly close to the bunny shed. I'm keeping this page active for educational purposes. ​Our Mini Rex are great middle of the road type rabbits. They are very affectionate but not needy; active but won't drive you crazy and they tend to have GREAT, steady personalities not tending to mood swings. They are super smart and have great personalities. Babies tend to go fast because of their extremely friendly, loving, and curious nature. We just LOVE, LOVE, LOVE our Mini Rex. If you want a pet who will make you laugh, be part of a family or just hang out with you... you have found it! We also think they tend to be a little more forgiving of little younger grabby hands. In our opinion these are the perfect companions for adults or families with young children and other pets. The small size, plush coat and friendly personalities make the Mini Rex one of the most popular rabbit breeds in the United States. They weigh from 3.5 to 4 pounds when fully grown. They are known for their fur because of its lustrous appearance and texture that is as soft as velvet. Roxie is our only pedigreed breeding buck right now. He's a beautiful chocolate with several Best of Breeds in his pedigree. Broken chocolate. No pedigree, but a super sweet personality. 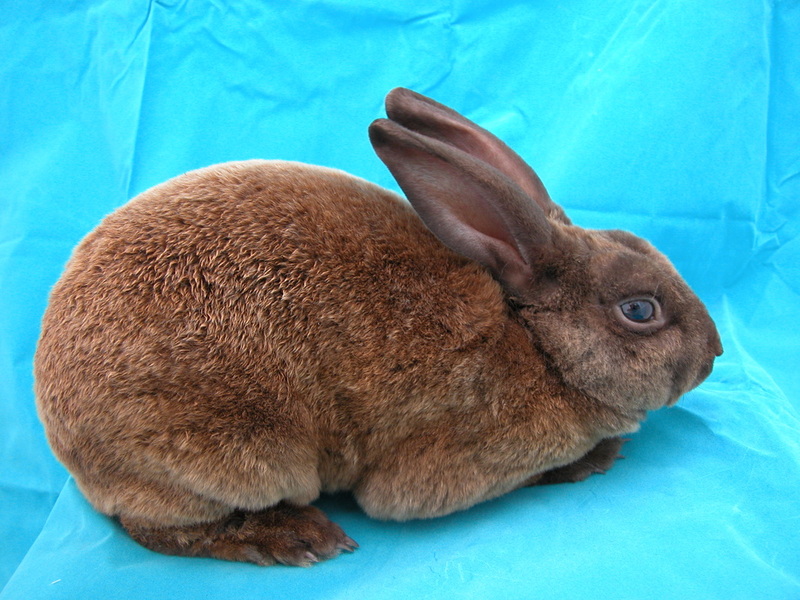 Brownie is the offspring of Velvet and Roxy and shares their wonderful disposition and luxurious fur. Velvet, a lilac, was our first doe. She was a great mother to several litters.